Mel Banham, head of fundraising from LLH with LLH senior nurse Karen Andrew. Every year for Valentine’s Day, UK consumers splash out millions on gifts, meals out and weekends away. High streets become a wash of pink and Scunthorpe’s love birds are spoilt for choice as to what to buy for their other halves. 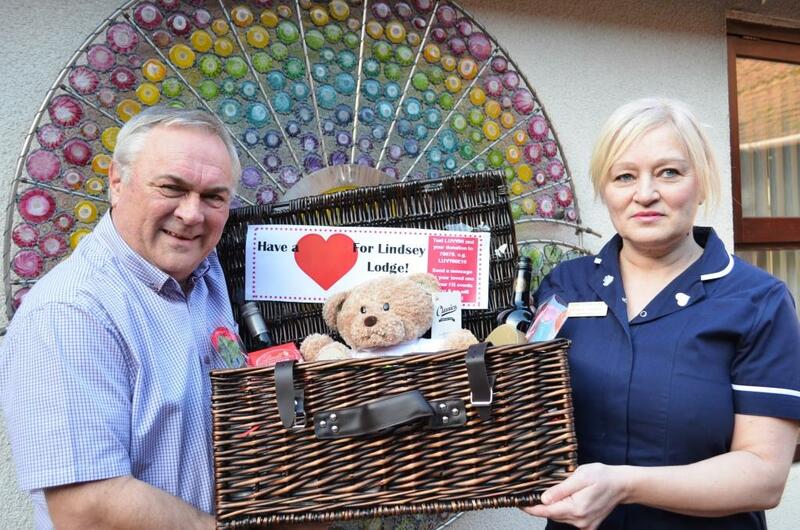 For those looking to skip the flowers and chocolates, Lindsey Lodge Hospice is offering a different way of showing affection. “Our Have a Heart campaign is a meaningful way of showing your affection to a loved one and a kind gesture to the hospice,” said Mel Banham, head of fundraising at Lindsey Lodge Hospice. Messages will be displayed in the hospice reception and online the hospice website on Monday, 15th February. All the money raised will be invested directly in the care provided by the hospice, helping to make sure every moment matters for families across North Lincolnshire. To donate text LUVY00 and the amount you wish to donate to 70070 e.g. LUVY00£10 and place a comment on the Hospice’s Facebook events page. The maximum you can donate via text is £10 and text messages are free to send on all networks.